Jozi Stars are expected to defeat Cape Town Blitz given their strong batting line-up which also has depth. With five wins in seven matches played thus far, Cape Town Blitz is at the edge of a top three finish but will be looking to finish on top which gives them the edge. The Cape Town franchise began with four consecutive wins before their first defeat followed by a washout. In the previous game, they recorded a 60-run win over Tshwane Spartans as Quinton de Kock led them with a brilliant century amidst a dramatic collapse. In the 8th match, the Blitz will be up against the Jozi Stars who are catching up lately. After winning only one of their first four matches, the Johannesburg based franchise recorded two big wins; by 53 runs and 81 runs. This helped them gain the crucial bonus point and also better their NRR. The star-studded side’s already strong batting will be strengthened with the return of Chris Gayle from the T10 league. 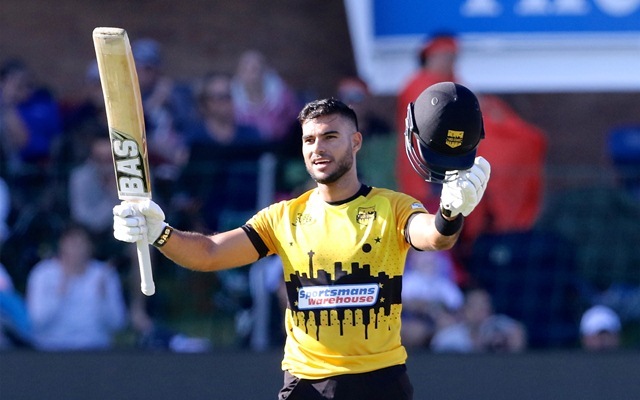 The 20th match of the Mzansi Super League will be played between Cape Town Blitz and Jozi Stars at the Newlands in Cape Town. The Newlands in Cape Town has been a good chasing venue as the seven out of eight T20 matches played here between 2016 and 2017 were won by teams batting second. However, all the three T20s in 2018 were won by batting first side including two in this MSL. Irrespective of this year’s results, Scores around 160-170 can be chased down at this venue. Quinton de Kock, Dawid Malan, Andile Phehlukwayo, Dale Steyn, Hussain Talat, Mthiwekhaya Nabe, David Bedingham, Asif Ali, Farhaan Behardien (C), Anrich Nortje, Janneman Malan, Malusi Siboto, George Linde, Ferisco Adams, Jason Smith, Mohammad Nawaz, Sibonelo Makhanya, Kyle Verreynne, Dane Piedt. Dane Vilas (C), Kagiso Rabada, Chris Gayle, Rassie van der Dussen, Daniel Christian, Beuran Hendricks, Reeza Hendricks, Dwaine Pretorius, Eddie Leie, Petrus van Biljon, Duanne Olivier, Ryan Rickelton, Sinethemba Qeshile, Simon Harmer, Calvin Savage, Shimane Alfred Mothoa. Farhaan Behardien (C), Quinton de Kock, Janneman Malan, Asif Ali, Hussain Talat, Mohammad Nawaz, Ferisco Adams, Andile Phehlukwayo, Dale Steyn, Malusi Siboto, Dane Piedt. Dane Vilas (C), Chris Gayle, Reeza Hendricks, Ryan Rickelton, Rassie van der Dussen, Daniel Christian, Dwaine Pretorius, Simon Harmer, Kagiso Rabada, Duanne Olivier, Beuran Hendricks. The Jozi Stars’ bowling attack has the ability to take wickets regularly. At least two of them take more than two wickets in every game and picking them is subjected to gambling. Quinton de Kock, Reeza Hendricks, Chris Gayle, Rassie van der Dussen, Asif Ali, Daniel Christian, Andile Phehlukwayo, Kagiso Rabada, Beuran Hendricks, Duanne Olivier. Reeza Hendricks and Quinton de Kock scored centuries in their previous outing and will be crucial multiplier options in this game. Other than the two, one of Rassie van der Dussen and Daniel Christian can be considered for the second multiplier option. Chris Gayle is expected to make a return to MSL after featuring in the opening game for the Jozi Stars. Mohammad Nawaz returned from the T10 league in the previous game itself while Dawid Malan could be batting higher in the order.